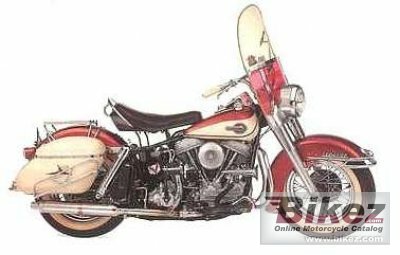 1963 Harley-Davidson FLH Duo Glide. Picture credits - Harley-Davidson. Submit more pictures. Rear suspension: Swingarm. Dual coil-over-shocks. Adjustable. Carrying capacity: Saddlebags. Rear rack. Ask questions Join the 63 Harley-Davidson FLH Duo Glide discussion group or the general Harley-Davidson discussion group.